Good Monday evening All! The past few weeks we've begun going through Dave Ramsey's Baby Steps. So far in Baby Step 0, we've discussed committing to the process. Last week in Baby Step 0.3 I discussed the importance of a budget and how to create a budget. Please if you haven't created a budget yet, please do. The first place you can find pennies - or many, many pennies! - is looking in detail where your pennies go each month. You may be surprised! The next penny-sized step in Baby Step 0 is to temporarily stop all retirement contributions IF you have debt (not including a mortgage) and/or don't have 3-6 months of expenses saved. The key word here is "temporarily". This will mean different things to different incomes BUT this does not mean different approaches. We haven't discussed the phrase "gazelle intense" yet, but in essence, it means to do something as quickly as humanly possible. So DR recommends going gazelle intense on Baby Steps 1, 2 and 3 - saving the initial £1,000 for an emergency fund, paying off all debt, then adding to the initial emergency fund to build a fully-funded emergency fund of 3-6 months of expenses. Build these "foundations" of your finances as quickly as possible to then be able to then be able to build the "roof" of your finances. DR explains that there's no point in building the roof before you build the foundation of your financial house. What does Martin Lewis from Money Saving Expert say? If you have been auto-enrolled into a workplace pension, you can opt-out. "Don't be afraid of opting out though if you're having financial difficulties or for other reasons. You can opt out whenever you like - however, you still won't be able to access any money you've already paid into your pension until retirement age. Even if you do opt out, if you remain at your current place of work for three years, or move jobs, then you'll be automatically enrolled again. So you'd have to opt out again if you don't want to join." 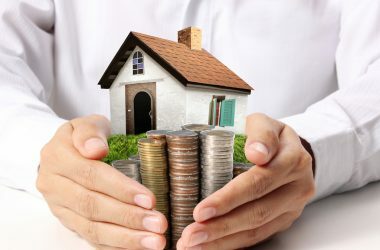 Although we'll discuss pensions in Baby Step 4, you may want to look ahead about pensions on moneysavingexpert.com, please click on this link. There's also Pension Wise and The Pensions Advisory Service. Consider very carefully - even seek professional advise from an independent financial adviser (IFA) - before using any money you've saved in bank accounts or investments - you can't take out money saved in a pension until you've reached the minimum age of 55, so this may not be an option for you if you're under this age. The key in this Baby Step is to stop the contributions you've been making to retirement just long enough to blitz your way through Baby Steps 1, 2 and 3. Once you've paid off all debt (apart from your mortgage) and have saved 3 to 6 months of expenses in a fully-funded emergency fund, then you will re-commence your retirement savings. Again, I am not an expert at pensions or retirement savings, so please do your own research. I hope I've given you some helpful guidance and something to consider to help you in your financial adventure.